The first course in Dental Hygiene was initiated in Nepal in the year 2000 AD in the Kathmandu City. In the year 2005 the program was changed to 3 years in length in order for students to obtain an Academic Certificate in Dental Hygiene. And therefore in the year 2006 the Nepalese Dental Hygienists Association was founded,resulting in greater recognition of the profession especially by the Powerful Nepalese Dental Association.Currently Nepal is the only country worldwide with an almost equal hygiene profession. Dental Hygienist is a licensed Dental Profession registered with a dental association or regulatory body within their country of practice.They are primary healthcare professionals who work independently or alongside dentists and other professionals in a team to provide full oral health care. In Nepal CTEVT runs Dental Hygiene course as a TSLC program and after SLC too with an opportunity for upper level study in related subject too. The motive behind this education program is for producing dental hygenists that fulfill the human resource required for oral health service in Nepal. 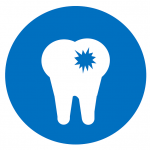 Diagnosis and treatment of gum diseases at early stages. Understanding the factors in Oral Health. General Anatomy, Physiology,and Pathology of Human Body and teeth and gum particularly. Making common people known about oral health education that includes Oral Hygiene,maintenance and prevention of oral health problems. Providing first-aid during medical emergency. Assisting to the qualified dental surgeon in advanced clinical set-ups. SLC with 45% or equivalent with mathematics and Science/ Health compulsory. Successful competition of written entrance examination conducted by CTEVT. Dental Hygiene has got a great scope in Nepal with the increasing concern of people towards skilled and certified human resources, the dental hygienists can have an important role in dental checkups under dental surgeons or in hospital settings and matters concerning about oral health problems before the cases are handled to the higher dental surgeons. They have scopes in hospitals for patients and health and in pediatric dentistry (child health). what is the average salary offered for dental hygienist in Nepal?